The cartridges for the exclusive marking pen from Prym can be ordered in white or coloured. The fine stroke width of 0.9 mm make it possible to trace quilting patterns and to transfer other templates cleanly and accurately. Six each of black, yellow and pink cartridges are available in packets of eighteen. The cartridges are supplied in a sturdy plastic box, which can also be used to keep them safe for storage. 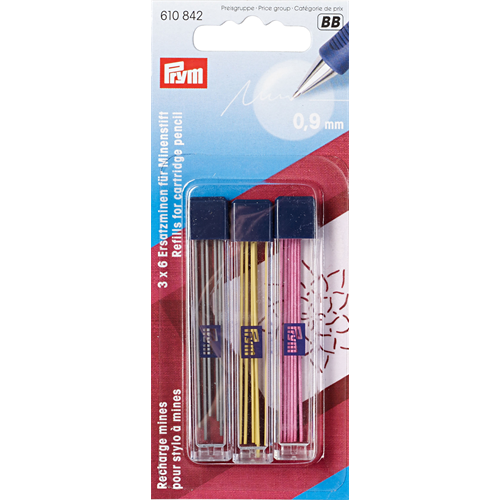 These two refill sets make the marking pen a permanent accessory in your sewing kit.